After much speculations from the pre-release reviews of this movie, there were some doubts as to whether this movie (which was originally made from a TV series) would have much success in the market. However with a star studded line up in their armoury, perhaps there are some chances it would turn out to be a good one in some way. As always, I was given the great opportunity from the awesome people at Nuffnang to catch this movie not only three days earlier than its actual release but to watch it in the huge screen of the IMAX Theater as well earlier this week. I have to admit I have very little knowledge coming into this movie screening, unlike the previous movies that I usually watch so I did a little research into it beforehand. Plot follows a man born in a rich family back in 1772 that migrated to the US from England. There, their family made a fortune by creating a fishing industry in the town of Collingwood and soon after their only son, Barbanas Collins was dwelling his riches into everything, including women. However one heart that he broke in particular turned out to be a witch and through her anger, she cursed him to be a vampire and locked him in a coffin through time. 200 years later in 1972, someone managed to find and open the coffin itself, releasing him into a world where everything has changed and his descendants were no longer the powerhouse in the town. 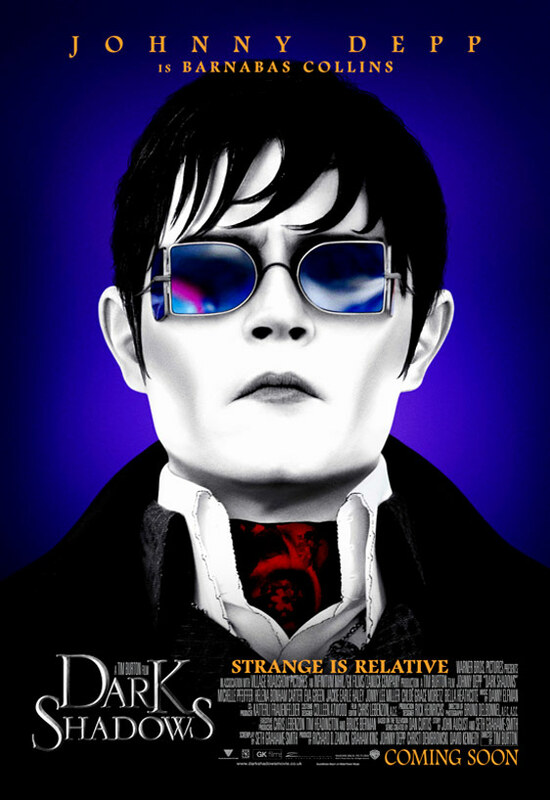 Despite the grim outlook that we are always very familiar with the works of Tim Burton, surprisingly enough this was actually a gothic comedy movie and personally, I found it quite entertaining and funny at some points. Of course there were instances of some dark and twisted outlook in some parts of the movie but overall, it really was a comedy with a twist. Movie or DVD worthy? : Definitely DVD material, but do watch it first time in the movies. Plot : Quite funny and dark at the same time, which I would think that it does take and acquired taste to really appreciate the movie. Teh Tarik Rating : I'll give an easy 6 out of 10. In conclusion, I would implore those that would love the dark romantic comedy type movies to check it out and to be honest, it wasn't a bad experience watching the movie entirely with everything in mind. Perhaps some part of me would expect more coming from a Johnny Depp movie.